Naturally, the habit of putting especially bright people into New Mexico began in 1939 at Los Alamos. The High School is said to still have excellent grade point scores, and probably not because of any particular teaching methods. 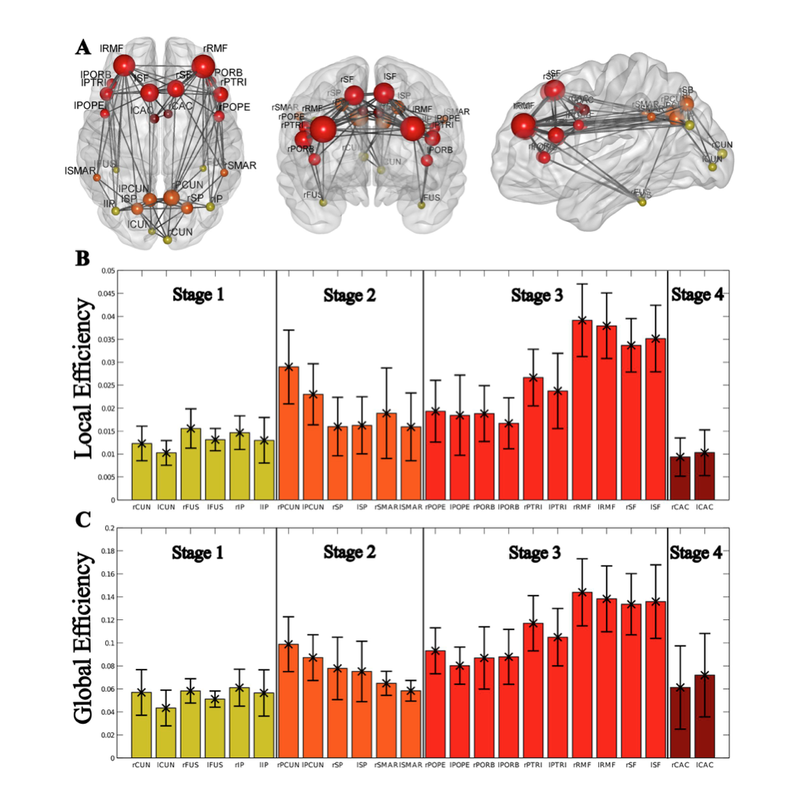 “There are so many differences in the specific brain areas various individuals use to do different tasks that no one specific area stands out for (cognitive) performance on any given task at the group level”. 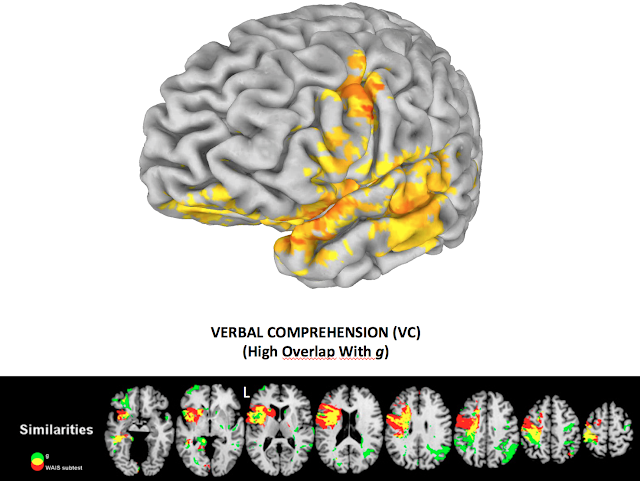 In terms of what can be concluded from the study of cortical lesions, the fronto-parietal regions of the left hemisphere are of particular relevance for g (general intelligence) perhaps because it has an essentially integrative function. If you look at fluid intelligence, then the right hemisphere comes into play. As regards cortical thickness, Roberto argues that brain development varies according to the initial intellectual level of the child, and proposes that developmental brain indices must take that into account. Roberto feels that it is the connections (structural efficiency) made by the brain (revealed when carrying out a task) which seem to have explanatory power. There are particularly strong results when studying working memory, with less good fit with fluid intelligence and mental speed. Finally, Roberto sums up his N-back mental training work by saying that the best results are for those with lower intelligence (within the range of his mostly student subjects. (6) how can we improve our brains. The brain is a general-purpose, highly dynamic, device. We, scientists, should focus our research resources on the brain, asking how it produces intelligence. Technological devices still unavailable will be of great help for that main purpose. hese tech advances will contribute to overcome our current lack of knowledge regarding human intelligence. 1939? Surely the Los Alamos lab was founded in 1943. My error. September 1942, though Tube Alloys and general discussions started much earlier. There seems to be a fundamental paradox about intelligence. By the (low) standards of social science it is outstandingly easy to measure and the measurements are outstandingly useful. Yet attempts so far to get to the bottom of it, either in genetic terms or brain-structure terms , have been unsuccessful, and imply that the source of intelligence is a subtle, complex thing. So: easy to use, hard to understand. It reminds me of an argument from my friend the Particle Physicist: the point of Quantum Mechanics is to learn to use it, not to understand it. In fact he seems to take the view that people who claim to understand QM at a fundamental level are cranks. Still, the analogy will break down one day, no doubt. The most relevant piece about human intelligence is a reflexive thinking and the fact that we have delayed instinct. Reflexive thinking is like play squash, the ball is the thinking patterns. Capacity to refute their primary cognitive bias and avoide instinctive basic reactions.